This Institute has been founded by MSK Manikkarajender (Crystal Reiki Master) and T.Senthil Devi (Usui Reiki Master). We have been dealing with Reiki for the past 4 years. At our centre,we give Crystal Reiki healing and also we conduct Crystal Reiki classes, Reiki attunement is given for Reiki Level 1,2 & 3. We give Reiki healing for health problems and also emotional problems like stress,anger,anxiety,worry etc. Reiki class is conducted all days based on the requirement. During the class we teach human values for a peaceful living, Reiki attainment and practices. Our healing centre is based at Saravanamaptty, Coimbatore. 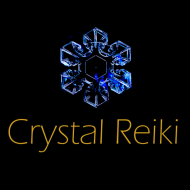 Crystal Reiki conducts classes in Crystal Healing, Meditation and Reiki. It is located in Saravanampatti, Coimbatore. It takes Regular Classes- at the Institute.